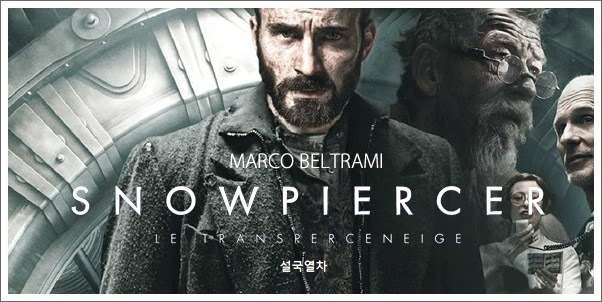 Based on the French graphic novel LE TRANSPERCENEIGE, SNOWPIERCER marks BONG JOON-HO’S English-language debut, and the last of the South Korean film industry’s big three directors (Bong Joon-ho, Kim Jee-woon, Park Chan-wook) to venture west in recent years. Though its release was subject to substantial delays outside Asia, Snowpiercer is nothing less than a riveting, refreshing, and downright entertaining science-fiction action film from an immensely talented director. SNOWPIERCER, set in a grim dystopian future aboard a self-sustaining train without a terminus, charters the uprising of the oppressed within the remnants of humanity’s fragile existence. This ambitious, claustrophobic sci-fi is director Bong’s first foray into action, and has been met with almost universal praise. While his equally talented South Korean colleages Kim Jee-woon, and Park Chan-wook stumbled somewhat with their English-language debuts, SNOWPIERCER’S critical success has made great waves for the South Korean film industry on an international scale. Aside from Japanese composer TARO IWASHIRO’S score for MEMORIES OF MURDER, music in Bong’s films hasn’t particularly stood out, either in-context or standing alone, nor has the director formed any sort of long-lasting relationship with a composer. As a result, MARCO BELTRAMI boarded the project. Had BELTRAMI produced a by-the-numbers action score, it would have been a missed opportunity to provide something unique for a truly unique film. However, Beltrami has most definitely succeeded in his work for SNOWPIERCER, though in a way that is not entirely satisfying. The dark reality of SNOWPIERCER’S world is immediately evident in the score’s bleak opening - a fog of desolation that never clears and ultimately represents the divide between the score’s success and failure. As a supporting character in the film, BELTRAMI’S score blends in perfectly, but as a solo act it doesn’t quite have the muscle to boast consistent thrills. Subsequently, those who have not seen the film will have greater difficulty in finding moments worth revisiting.